Bread is a food that most households have available so it is inevitable the the question of whether bread can be fed to rabbits or not. Bread is a staple food which is made with flour, dough and water and then baked. In fact, it is one of humanity’s oldest foods and is eaten in many styles and forms. So can rabbits eat bread and if they can how much of it can be eaten? As with most foods, if rabbits are fed bread they will eat it without question. 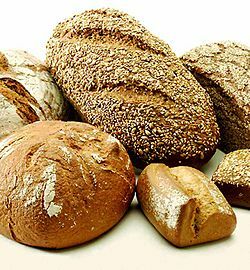 Bread also is high in carbohydrates and so they will enjoy it if they eat it. But because of this, it will cause them to have diarrhoea. If they have a small amount of it they will be fine.